Dental implants have helped many patients with partial or complete loss of teeth regain their confidence, chewing, smiles, and overall quality of life. But how about those who have lost a lot of bone and gum tissue? Can they have dental implants and renew their sense of normalcy in their lives? 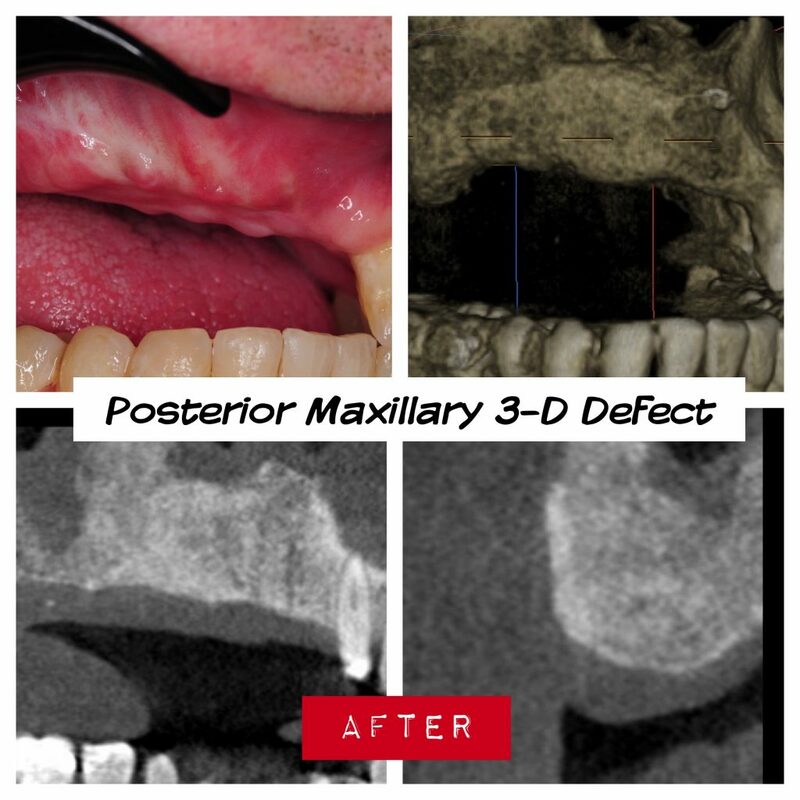 Whether from trauma, excision of tumors, or advanced periodontal disease, such patients often end up with significant defects and are often told they are not candidates for dental implants. But there are solutions! With advanced grafting and tissue regeneration techniques, we can now predictably restore patients’ missing bone and soft tissue to its normal state. This in-turn allows replacement of teeth with ideally-positioned dental implants providing patients optimal function, aesthetics, and longevity. There are many techniques and materials available for restoration of such large 3-dimentional (horizontal and vertical) defects. The surgeon and restorative dentist must carefully consider all of these options and select the most appropriate measures to achieve the desired results. 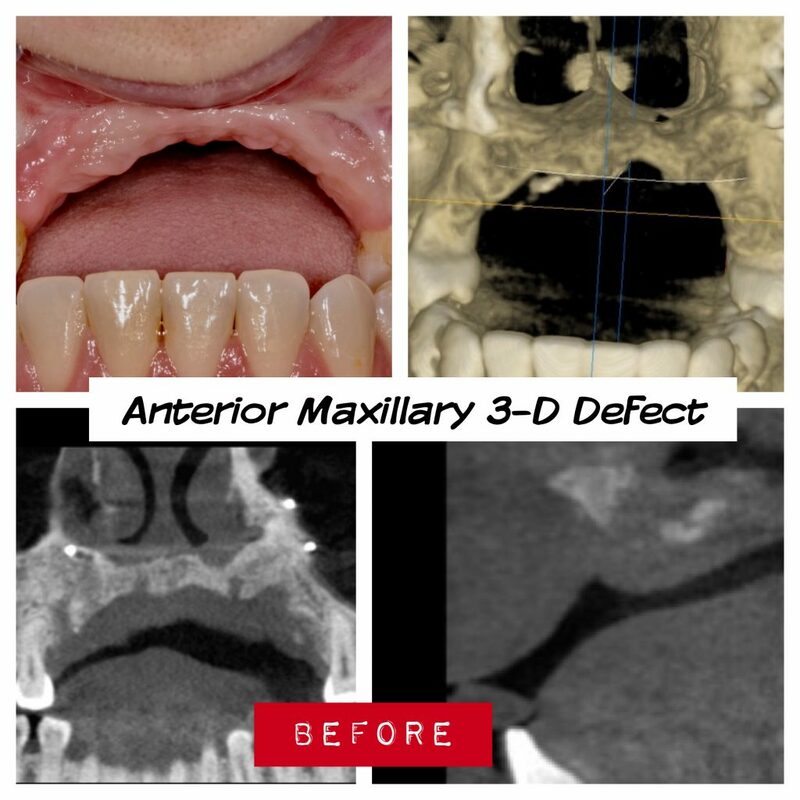 Treatment of large defects can generally be completed in two to three surgical stages with four to six month intervals in between. Bone augmentation techniques for large deficiencies include guided bone regeneration (GBR), osteogenesis distraction, horizontal osteotomies with interpositional grafts, sinus lift, and onlay block grafts. Soft tissue augmentation techniques include vestibuloplasty, connective tissue grafts, and development of keratinized gingival tissue necessary for long-term health of dental implants. The materials used for grafting procedures include autogenous bone, allogeneic bone, xerogeneic bone, various guided tissue regeneration membranes, and range of biological factors. 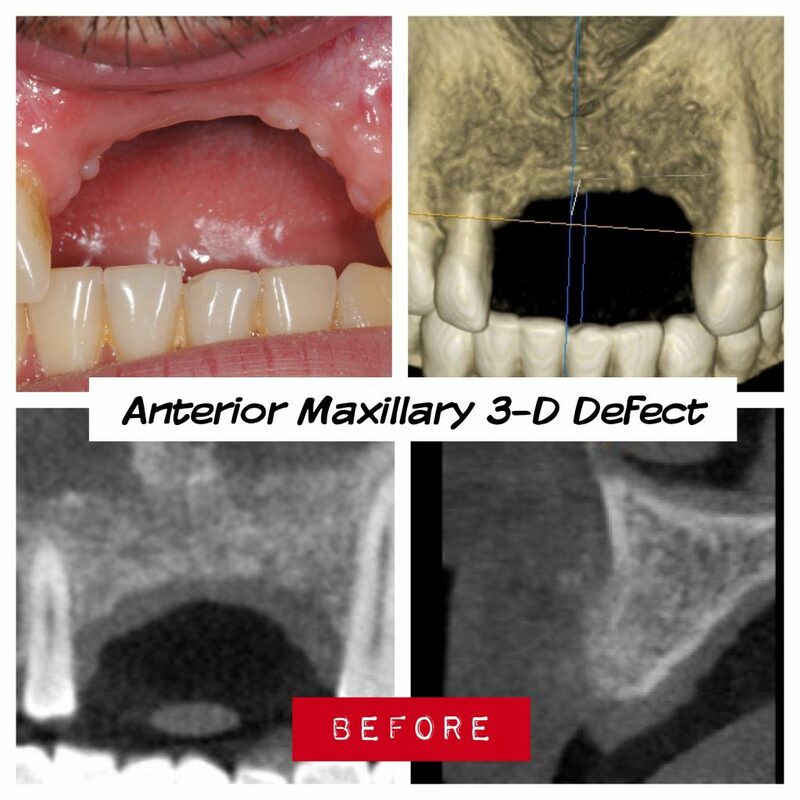 The selection of appropriate techniques and materials is based on type, size, and location of the defect as well as the specific functional and aesthetic requirements of individual patients. 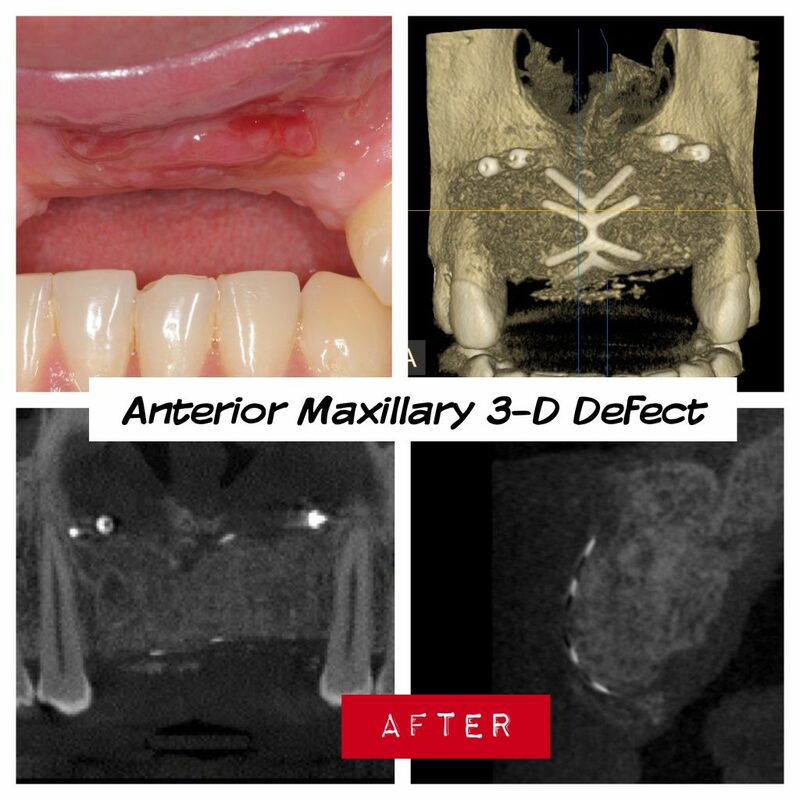 The critical factors for successful restoration of large defects include careful soft tissue flap design to achieve complete and sustained bone graft coverage, selection of the right materials, and total patient compliance with post-operative instructions. Such treatments may take one to two years to complete and do require significant time, commitment, and patient investment. But they can transform patients’ lives providing them with a life-time of great benefits. 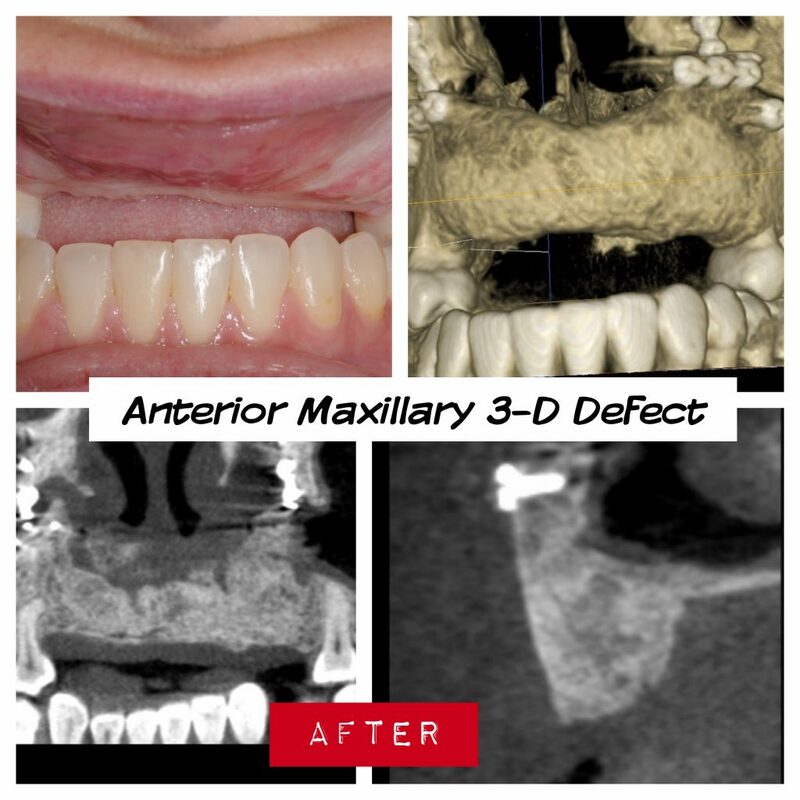 This entry was posted in Bone Grafting, Dental Implants. Bookmark the permalink.